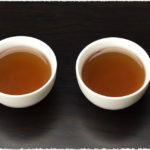 Two newly keemun black teas online. From now on, 15% off for onw week. Care your body with warm black tea as the weather is getting cooler. 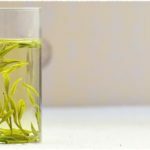 Keemun Aromatic Snail Tea gets the name due to the fact that the leaves are skillfully curled into what looks like little snails. 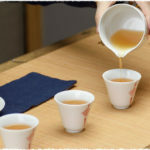 With a smoother and delicate flavor and typical “Keemun Fragrance”, Keemun Aromatic Snail Tea allows multiple infusions with no bitterness. Made of tender leaf buds, Keemun Imperial Black Tea almost has no impurities and can be brewed directly without the rinsing step. Highly welcomed by enthusiastic Keemun black tea lovers, Keemun Imperial Black Tea ensures a soft, smooth and well-bedded mouthfeel and will be a good choose for all black tea lovers. The promotion activity for our new arrivals of Keemun black teas will end on October 20, 2015. Hurry up, indulge yourself with a cup of tasty black tea! NextNext post:Oolong Tea Time, buy more and saving more.